Your life is full of choices. Every day, your choices are endless. Just about everything you do has an alternative action, put simply... you could do something else. Why not think about this when you're shopping? Make sure you've got a Reusable Bag rather than taking a plastic bag from the shop-keeper or check-out. Our Stuff Bags are very handy for just about anything - shops, school, gym, sports, fashion; you name it & there's someone doing it. 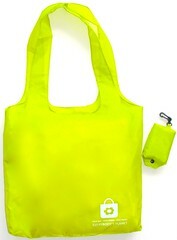 We also custom-make these bags to suit your brand. You tell us the colour, size, shape & printing. We organise all the rest for you; no hassles.